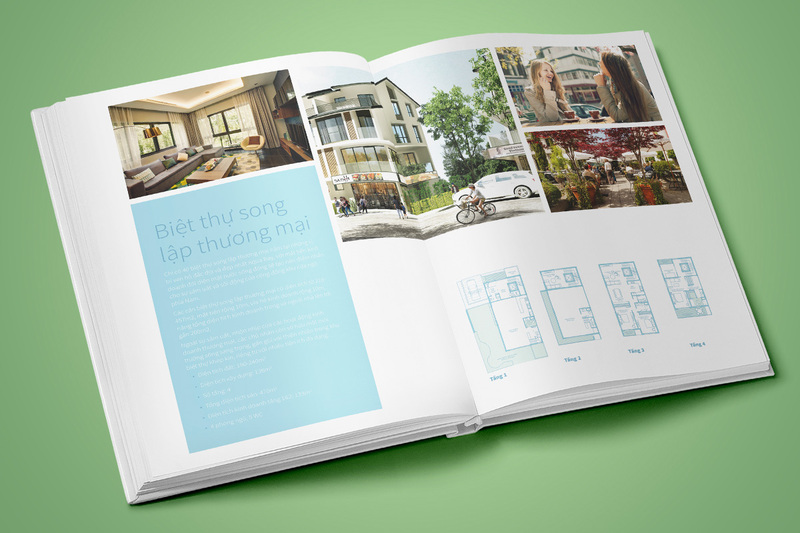 Ecopark is a 500-hectare urban township project on the outskirts of Hanoi. Its focus is on green space and a natural environment, with the vision to create harmony between humans and nature. Aqua Bay – a lakeside community — is the third phase of the development project and the biggest to date. 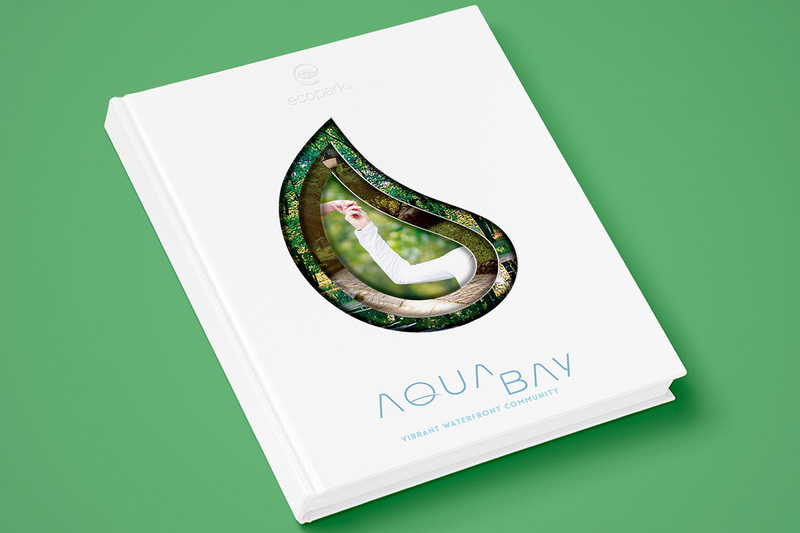 A premium “coffee table” style brochure was required to promote Aqua Bay: capturing the essence of the brand and creating desire among the target audience. A droplet shape was used the key visual throughout, most notably on the front cover an inside pages, which use embossing, spot UV varnish and cut outs to add to the premium appearance. 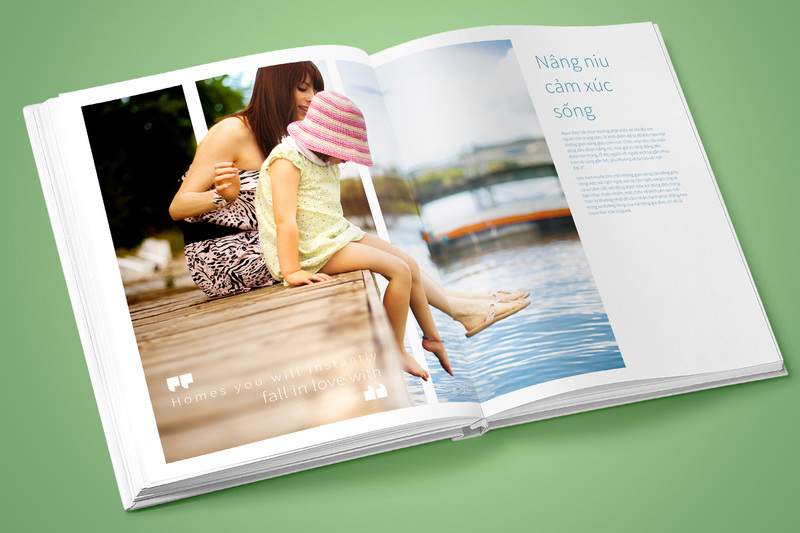 Insider pages were designed to optimise the use of photography and white space, giving it a light and fresh yet elegant style.